Bhivpuri is one of the popular localities in Karjat Taluka near Mumbai. It is well-connected via the Bhivpuri Road railway station to the rest of Mumbai and surrounding areas. The area is famous for a Sai Baba of Shirdi, which seems millions of visitors every year. Bhivpuri has beautiful surroundings including waterfalls and gardens which make it popular among visitors. The area sees visitors from all over Mumbai as well as India. Bhivpuri Dam and a hydro-electricity generation plant of Tata Power are located nearby. Over the past few months, there has been an increase in demand for Residential Apartments in Bhivpuri Mumbai . The area has excellent connectivity to the state highway which is connecting to NH4, Panvel & Navi Mumbai, as well as Badlapur & Thane District. The area has a number of social and civic amenities available to home buyers. There are a number of multi-speciality hospitals in the area like Raigad Hospital & Research Center. There are a number of leading schools, educational institutes, and more in Bhivpuri. 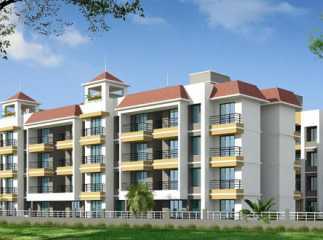 The prices of ready to move projects in Bhivpuri Mumbai are extremely affordable which makes it one of the prime investment destinations in Mumbai. The residential projects in Bhivpuri have a number of internal and external facilities for the comfort of home buyers. If you are looking to invest in Property in Mumbai , Bhivpuri provides a golden investment opportunity.